Each pack contains pouches and carriers. 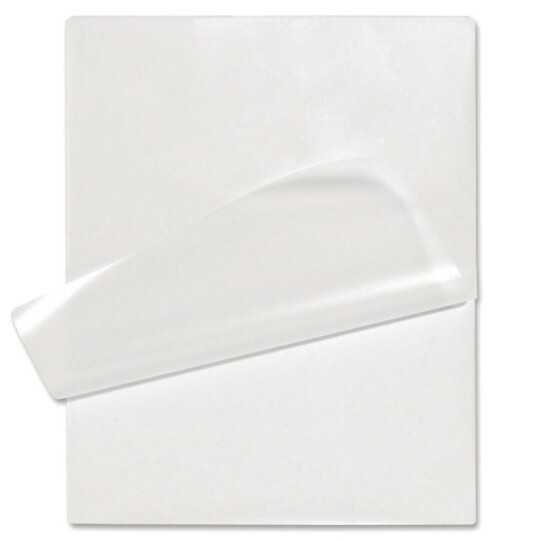 Clear plastic 9" x 11-1/2" x 3mil pouches for photographs, posterboard, paper or plastic. Economical and easy to use. Won't yellow or bubble. Each pack contains pouches and carriers. Compatible with AC983 Fusion 300L Laminator.